Get a detailed evaluation done by Carole! Book a buyer consultation with Carole! Want to know what the real estate scoop is in your neighbourhood? Carole isn’t your typical real estate broker, and you’ll quickly see why! Real estate is Carole’s passion, and it shows with every client she meets and every house she sells. Discover how Carole puts the personality back into real estate and eliminates all of the usual stresses of home buying and selling! This Beautiful 4 Bedroom Home On A Spectacular Lot Does Not Disappoint. 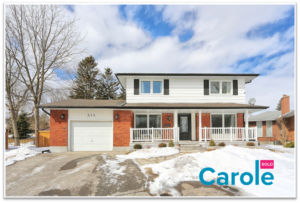 Nestled On A Quiet, Family Friendly Crescent, This Home Offers A Spacious Layout, Large Principle Rooms, Tons Of Upgrades, And Contemporary Finishes! Almost All Newer Windows, Newer Flooring & Carpet, Updated Bathrooms, Potlights, Crown Moulding, Owned Hot Water Tank, New Front & Garden Doors… The List Goes On & On. Master Bedroom Has His/Her Closets And A Walk Out To A Balcony! Wow! Main Floor Office Space! Convenient Breezeway, Parking For 5 Plus Garage! 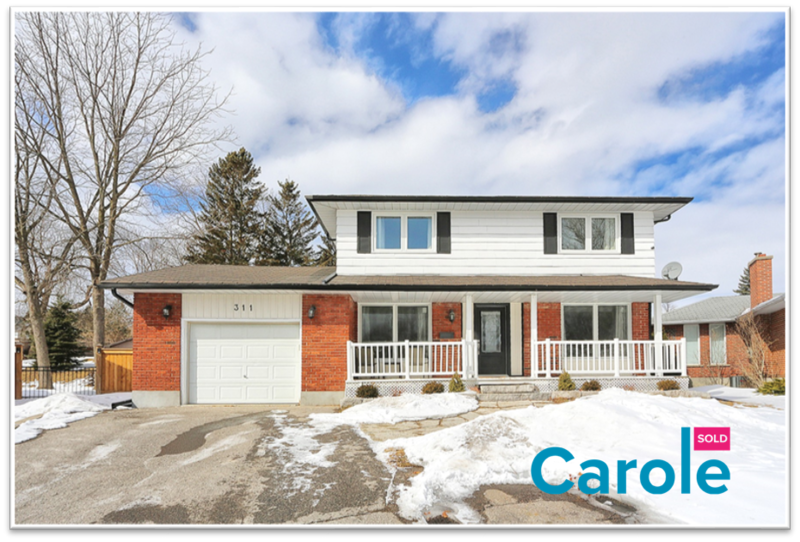 Separate Entrance To Updated Finished Basement With Playroom, Family Room, Gym & Laundry Room With A 3 Piece Bath. Close To Great Schools, Transit, Shopping, 401. Gorgeous Tribute built North Ajax home in a quiet enclave, with green space both beside AND behind. Large principle rooms, huge kitchen with breakfast area, granite counter top, eat at island & custom backsplash. Oversized open concept family room with gas fireplace and stunning hardwood floors. Master bedroom with his & her walk in closets and large 4 piece ensuite. Walk out to balcony from Bedroom 3. Large laundry room on upper floor for your convenience!Fantastic fully finished basement w direct access from garage, laminate flooring & 3 piece bathroom. Freshly painted throughout, hardwood on the main floor. 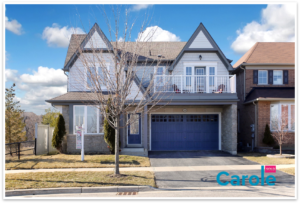 Close to: schools, shopping, parks, rec centre, walking trails, pond, transit, 407! Great Opportunity To Jump On The Property Ladder! Affordable Living In A Fantastic Location In North Oshawa. 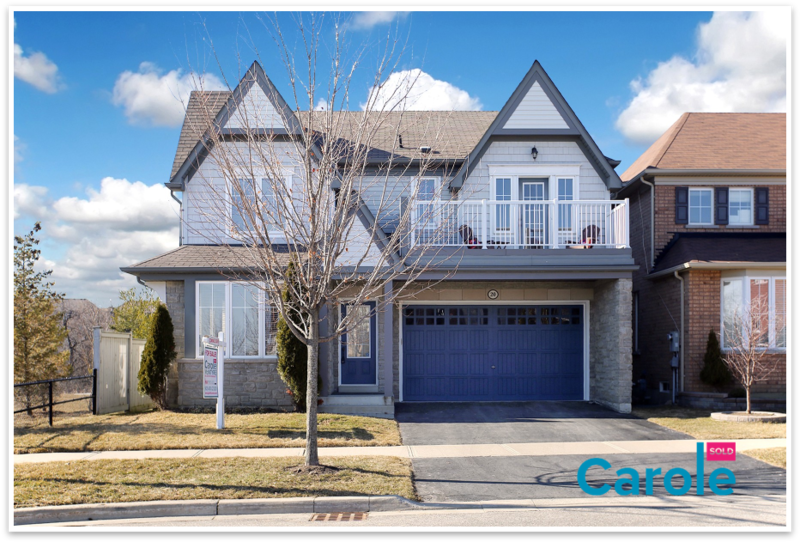 Just Minutes To Uoit, Durham College, Shopping, Transit, 407, Schools… Everything! Freshly Painted With Lots Of Updates Including Laminate Flooring, Potlights & An Upgraded Bathroom. Spacious Eat In Kitchen With Large Window Overlooking Yard. 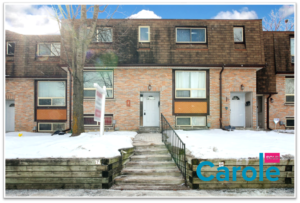 Basement Boasts 2 Additional Rooms, 2 Piece Bathroom, Shower, Kitchenette & Walkout To Fully Fenced Yard! Perfect For Investors, First Timers, & Downsizers. 1187 Sq Ft + Basement! Upper Fridge (As Is), Stove, Washer/Dryer. Maint Fees Incl. : Water, Bldg Insurance, Snow Removal & Exterior Maintenance. Complex Security Cameras! Great Playground! HOW CAN CAROLE HELP YOU? Whether you’re buying a home, selling your home, or both, Carole personally oversees every step of your real estate journey. With Carole at the helm, your biggest dilemma will be choosing paint colours. PEOPLE ARE RAVING ABOUT CAROLE! To get in touch with me, Carole McIntyre, Broker, please use the form below and I will get back to you promptly.